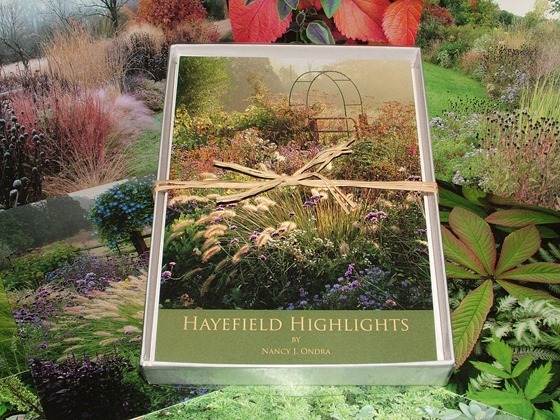 I know I’m off my usual posting schedule, but with my yearly seed extravaganza already planned for next week, I just couldn’t wait until the end of the month to announce the completion of my most recent project: Hayefield notecards. My friend and reader John Drexel of Prism Color Corporation gets the credit for both the idea and the printing; my main challenge was trying to decide which images to include. The set of 12 cards includes matching envelopes and is packed in a white box with a clear cover. The price per set is $24 plus shipping . If you’d like to order, please visit the Hayefield shop on Etsy. Thanks!